This is a rectangular Arden Ice Cream porcelain sign. This particular Arden Ice Cream sign is predominantly maroon with highlights of yellow and white. 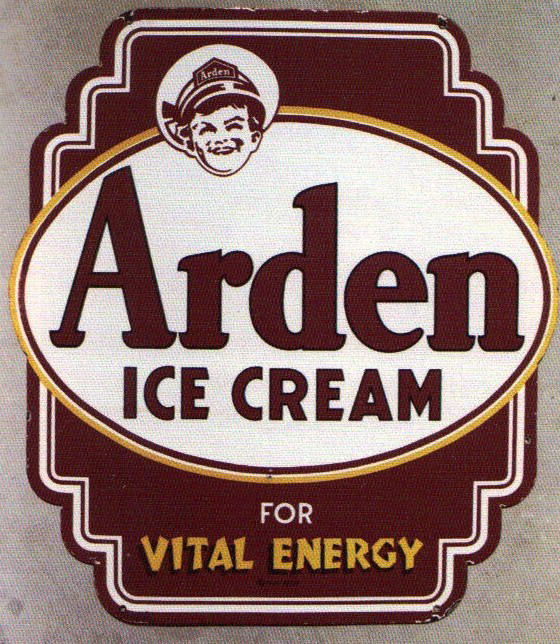 It reads, “Arden Ice Cream For Vital Energy” and features the head of a small boy dressed as a milkman at the top.